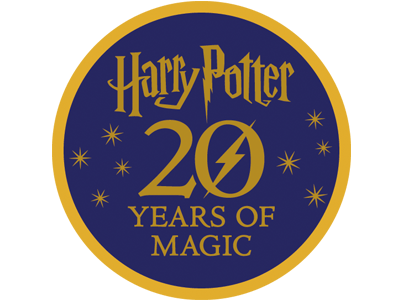 Celebrate twenty years of Harry Potter ... and twenty years of Third Place Books! Harry Potter and Third Place Books were both born in 1998: is that a coincidence? Or was something magical afoot that fateful year in Lake Forest Park? 7pm - Potions Class I. Author Lynn Brunelle (Big Science for Little People; Pop Bottle Science; Turn This Book Into a Beehive) will demonstrate the finer points of elixirs, philters, tinctures, and other draughts and conoctions alchemical and magical. 7:30 - Orientation II. Latecomers may attend the second session with the sorting hat. 8pm - Potions Class II. Latecomers may attend the second session with Lynn Brunelle and her concoctions. Activity table in Kids Section - coloring, puzzles, OWL Exams, and more! Selfie Station & Instagram Costume Contest - take photos of you and your friends in your finest Wizardly regalia to post on social media. All are encouraged to dress as their favorite Harry Potter character, or as your own interpretation of a denizen of Hogwarts. There will be a selfie station for those who wish to also participate in the Instagram Costume Contest. Prizes TBA. But we promise they'll be very cool. We'll announce the winners on Instagram, Twitter, and Facebook on Friday, September 7. Winners will have one week to claim their prizes at the store. No tickets or purchase necessary to attend Back to Hogwarts. *20% discount applies to any book by guest author Lynn Brunelle.